The mission of Tam Dental Group, the practice of leading Auckland cosmetic dentist Clarence Tam, DDS, is to help patients stand out from the crowd by creating a beautiful smile that perfectly complements their unique facial features. 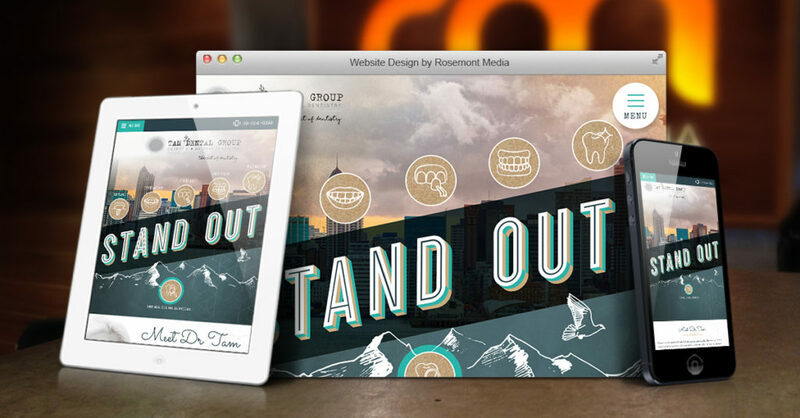 So when Dr Tam decided her expertise deserved a top-of-the-line website that could bring this practice philosophy to life, she enlisted the team of creative strategists at Rosemont Media to develop an unconventional and fully responsive dental website design that exemplifies her eclectic personality and cutting-edge dental services. With custom-written content displayed on a beautifully contemporary design, patients quickly gain a sense of comfort and familiarity with the practice as they easily navigate through the comprehensive procedure pages. In this way, the site acts as a valuable educational resource for users, detailing a plethora of information on the latest and most popular dental treatments. A feature page showcasing the dynamic team at Tam Dental Group further highlights the way Dr Tam seeks to connect with her patients. Furthermore, an expansive patient gallery equipped with sleek before-and-after photo sliders work to create an interactive experience for individuals curious about how a given treatment can take their smile to new heights. These custom features are outfitted with the most up-to-date dental SEO best practices, ensuring Tam Dental Group continues to stand out—but this time, on Google’s search engine results pages. To see the finished product of Dr Tam’s upgraded web presence, feel free to visit www.clarencetam.co.nz. Don’t forget to contact the team at Rosemont Media to learn more about how we can take your practice to the next level today!